Campaign Jobs spoke to Gemini People, BBC Studios, Global Lingo and IPSE about how to make freelancers feel 'part of the team'. The freelance workforce is a vital part of the economy, bringing in fresh ideas, buttressing existing skills and delivering great work. Mutual respect, collaborative working, upskilling opportunities and timely payments, help ensure the relationship works well and in turn brings value to your business. If you are an agency or brand that uses freelancers, whether it’s one or 100 at a time, it’s your job to ensure that they feel welcome from day one, from simply remembering they’re coming in to greeting them in reception. 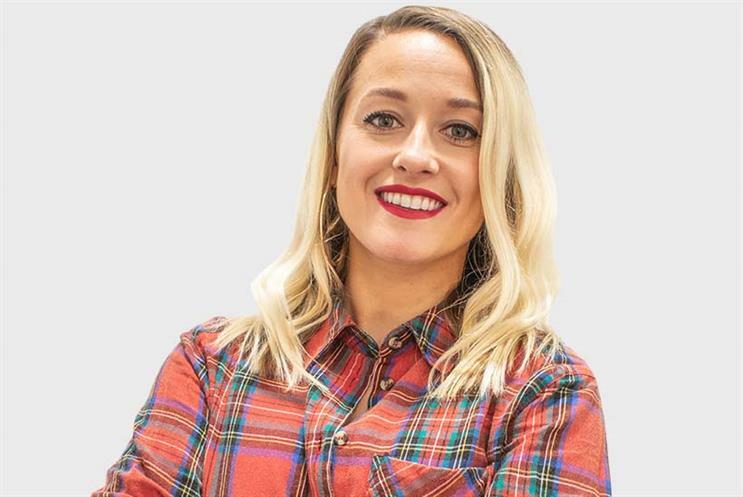 "The worst thing you can do is leave someone sitting downstairs for an hour because you’ve forgotten they’re starting (you wouldn’t believe the amount of calls we get from freelancers in a panic)", says Kim Wardle, director at Gemini People - the advertising recruitment specialist. Onboarding is a crucial part of making the relationship work from the outset, and this includes basic things like making sure there is actually work for them to be getting on with when they arrive. As Wardle explains: "No one wants to be sat at a desk for two hours because the person who is supposed to be briefing them isn’t in the office until 11am. Make sure that the new ‘member of staff’ knows where they can make a drink, where the toilets are and that they’re welcome to the biscuits scattered around the office. "They should already know your working hours prior to them being booked but remind them on their first day. Make sure they know the lunchtime rules - it sounds simple but many businesses fail to do this and it can lead to the freelancer feeling awkward not knowing your day-to-day rules." Wardle also recommends introducing a buddy system so that the freelancer has a point of contact for questions and isn’t sat there wondering who’s who and the best person for them to speak with: "Do you have someone available to take them out for lunch on their first day? Even if it’s just to show them around the area - if that person is going to be working with your business for several months then it’s important that they be treated exactly the same as the people who are employed permanently within your business." Sarah Monteith is global director, brand & content marketing at BBC Studios. She says that freelancers are part of the DNA at BBC Studios and an essential part of the creation of programmes such as Doctor Who, Top Gear and Blue Planet II. This means that the culture is very much one of collaboration and eradicating any ‘us’ and ‘them’ mentality between permanent staff and freelancers. "When a freelancer comes to work with us they become part of our team, we don’t make distinctions based on the type of contract someone is on, we’re here to create great work with great people", explains Monteith. "At our core we embrace a porous and collaborative way of working. Briefings are very important to give everyone the same context. Work is at the heart of all we do. We are so blessed with the content at BBC Studios and that brings everyone together." No one wants to feel isolated, whether it’s a permanent member of staff or a freelancer. Inclusion is key, and Wardle recommends that where possible freelancers should integrate with the wider team rather than just sitting with other freelancers: "No one wants to feel isolated, whether it’s a permanent member of staff or a freelancer, so integrate them with the wider team, make space for them in the main part of the business so they can get to know people, their roles, what they do and also get more of an insight into your business and what you’re all about. You also never know what you may learn from this person!" When freelancers work remotely, that sense of belonging can be established in other ways. At Global Lingo, the transcription, translation, minute taking and interpreting service, which works with 2-3,000 freelancers based across the globe, a vendor newsletter is published each quarter which all freelancers at Global Lingo receive. "We profile a different freelancer in each edition which showcases a bit about them as a person and this helps to build a picture of our freelancers whilst creating a sense of unity," says Mark Williams, chief executive officer, Global Lingo. Webinars are used as training tools at Global Lingo, meaning location is not a barrier to development. "New competency requirements including tech can be taught and learned with a webinar. We find it works well," adds Williams. Translators and minute takers at the business are also offered the opportunity for further work or to try their hand at something different with the control being very much in the hands of the freelancers and an equitable system of work being offered to all. Monteith explains that nurturing talent is a key value at BBC Studios too: "It’s core to the BBC’s values that there is a culture of generosity of spirit in developing talent. We invest in British creativity and champion, support and grow that through great content." Linked to this is a great culture of celebration. Monteith adds: "We have a culture of collective pride in our work and we make a point of celebrating people’s achievements both as teams and individuals. We take time to showcase people’s work, it’s an important part of sharing expertise and learning and can help to inspire greater creativity across the organisation." Imogen Farhan, policy and external affairs officer for the Association of Independent Professionals and the Self-Employed (IPSE), says: "Contrary to popular perceptions that working for yourself means working alone, clients are a hugely important part of the self-employed experience, and the kind of relationships the self-employed have with their clients can have a significant impact on people’s sense of job satisfaction." Recent research conducted by IPSE and the Involvement and Participation Association (IPA) found that in most cases client relationships are predominantly positive and a source of satisfaction for the self-employed. "The best client relationships are the ones that are founded on mutual respect and allow self-employed people to enjoy the autonomy and control that are the defining features of this way of working. This includes control over how work is done, when it is done and where it is done," says Farhan. Williams is also very mindful that freelancers choose to be self-employed so that they can control what work they do, when they do it and how. "Freelancers don’t want to be bound by employee rules and regulations and we respect that. They have deadlines, but they choose to work when they want to." Farhan says issues arise when clients fail to properly respect the independence of their freelancers: "We have heard examples of the self-employed being asked to wear uniforms, work particular days/hours or describing themselves as ‘working for’ the organisation at external meetings. In most cases, the self-employed can push back against these unreasonable demands, but in other cases, some feel pressurised to compromise on points that are in their clients’ interests but not their own." Research conducted by IPSE and The Freelancer Club (2016) sadly found that unpaid freelance work is endemic in the creative industries. "Freelancers working in these industries have completed 31 days of unpaid work in the last two years – losing out on £5,400 of income each year", says Farhan. "Ultimately, this is leading to a race to the bottom, which both devalues the industry and means that only those with deep pockets can afford to freelance." According to IPSE, freelancers spend an average of 20 days a year chasing invoices for late payments, and this is a problem among younger self-employed people: a majority of those aged 18-34 had experienced at least two late payments over the last two years. "This can be time consuming for some and crippling for others, who may not have the reserves to cope when their cashflow is under pressure," adds Farhan. It's a point that Global Lingo have been respectful of and a fundamental part of the reason why Williams is very clear that a rigid payment policy should be adhered to under all circumstances. "We know how important it is for our freelancers that they are paid on time which is why we introduced our 45-payment day policy to ensure a consistent and fair payment timeframe for everyone." "You wouldn’t hire someone permanently, watch them do a fantastic job and then offer them a decrease in pay to continue doing that job, so why would you ask that of a freelancer?" Wardle says the biggest issue most freelancers have when going directly into an agency, as opposed to through a recruitment agency, is being paid: "It’s so, so key to make sure that you have a process in place to pay your freelancers in a timely manner. A permanent member of staff wouldn’t stand for it if their business decided not to pay them month on month, so why is it acceptable for a business to not pay their freelancers? "Also, be clear about when and if you need someone to do overtime and don’t expect them to do it for free, freelancers work on an hourly or daily rate and deserve to be paid for all of their time - especially as they don’t reap the benefits of holidays, sick pay and pension." Another issue freelancers sometimes face is a client asking a freelancer to extend their contract at a reduced rate because they’ve done such a good job. Wardle says: "You wouldn’t hire someone permanently, watch them do a fantastic job and then offer them a decrease in pay to continue doing that job, so why would you ask that of a freelancer?" Wardle adds: "Fundamentally, the businesses that create the best work environment for freelancers are the ones that don’t treat them like they’re only there to help out; they’re the businesses that really take the time to care about their freelance staff and make them feel like they are one of the team from day one. "If your freelancers feel like part of the team and are treated as such then you’re winning. Some of the best talent in the industry are freelancers, so they deserve to be treated with respect and made to feel welcome, they aren’t just there to fill a gap between hires. They’re specialists in their industry and will bring value to your business and your existing employees. "Freelancers are a network within themselves and they all talk. It only takes one person to have a bad experience with your business to tarnish your reputation in the industry." Workplaces that treat freelancers as the crucial workforce that they are and value the skills they bring; their diversity of thought and individual flair, will benefit from a relationship that may not be permanent but can be just as rewarding.